-The session begins with one team nominated as "Spaceships" and the other "Volcanos". If you are in the team that are "Spaceships" you must turn the markers upside down, if you are a "Volcano" the team must flip the marker around correctly. 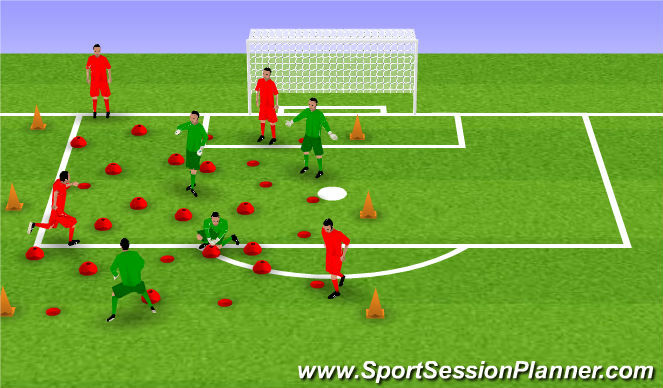 -Timed for one minute, coach counts which team has the most markers turned the correct way. 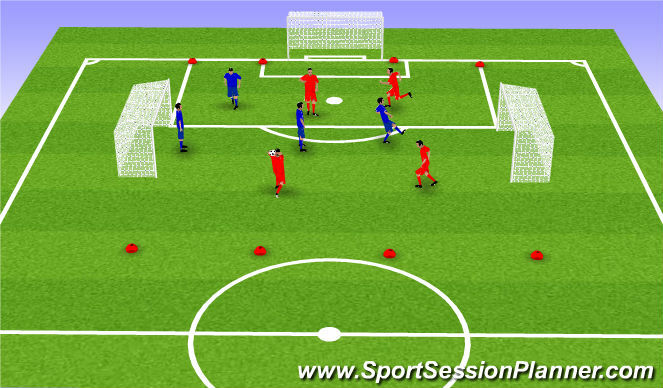 -The objective of this game is for the red team to run from one end of the pitch to the other without the yellows touching them. The yellows are linked arm in arm and stay that way. If a red is tagged they become a yellow. This continues until everyone is out. -After 3 rounds introduce a ball to make it more challenging. -Look for both teams to work together, communicate (listen and act) and be aware of their area. 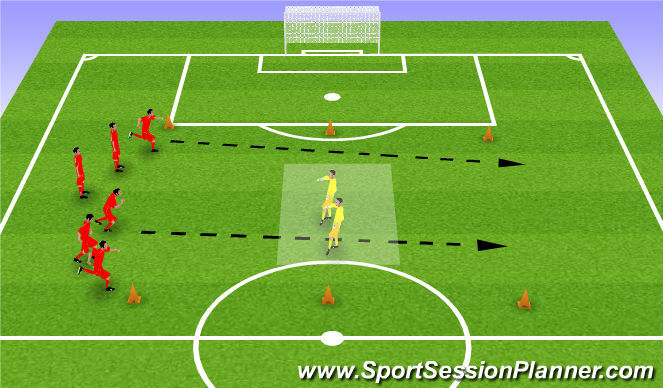 -The objective of this game is for the teams to make their way to the opponents goal passing and moving using their hands. To score they need to head the ball into the goal.